Pacific Northwest National Laboratory's Jim Amonette is completing his third 3-year term on the editorial board for Clays and Clay Minerals. 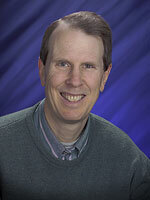 As a member of the board, Jim plays a critical role in ensuring quality articles are published. Clays and Clay Minerals is released bimonthly by The Clay Minerals Society. Because of the quality of the articles and the many industrial applications of clay, such as catalysts and sorbents, this journal is the top clay journal and ranks third out of 25 mineralogy journals in terms of total number of citations. As a member of the editorial board, Jim receives articles from the journal's editor-in-chief. Then, Jim contacts two to three leaders in the clay mineralogy field to provide peer reviews. Based on the reviews, Jim writes a summary review and recommends publishing, revising, or rejecting the article. In nearly 10 years, the editor-in-chief has never disagreed with one of Jim's recommendations. Serving on an editorial board requires Jim to have a broad and deep knowledge of the scientific literature. He also has strong connections with his scientific peers around the world and the ability to convince them to donate their time to reviewing papers. Thank you, Jim, for helping today's and tomorrow's scientists better understand clays and clay minerals.